Congratulations, you’re finally ready to move into your first apartment! Your apartment can provide you with more freedom, teach you to be independent and give you a place that you can call your own. Amid all the excitement, there is still a lot to think about when you start to live on your own. Whether you are moving into your first apartment from your parents' house, moving alone for the first time or moving in with roommates, read this first apartment guide for a smooth transition into your new place! 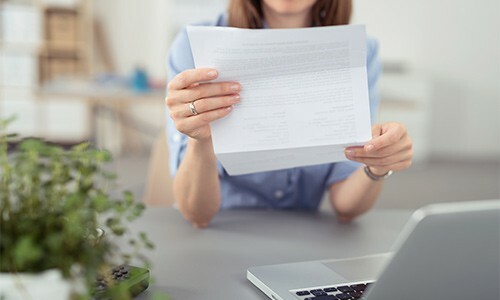 It’s very important that you read your lease before signing it so that you can make sure everything is consistent with what was agreed upon. It is also important that you’re clear on what your obligations are, as well as what the landlord’s obligations are to you. If you see something on your lease that does not look right or you would like change, you do have the right to ask for a modification. The landlord or leasing office is not obligated to make the change, but if the request is reasonable they are more likely to agree. If you want something done before move-in, make sure you get it added to the lease. Many states and communities have a handbook that outlines your rights as a tenant and what your landlord can and cannot do based on the laws in that jurisdiction. It also tells you what remedies you have in the event of a problem. Search online for a handbook for your area. You can cite this handbook if it covers an item on your lease or a problem with your apartment. Before you start packing everything you’ve owned since childhood, keep in mind that you may be moving into a much smaller space with less storage than your current home. Go through your belongings and only pack what you regularly use, plus a few sentimental items you want in your new home. If you’re not sure you’ll have room for everything you want to keep, your parents, relatives or friends may be generous enough to store some of it for you. Even if you don’t have a lot of furniture or other belongings, don’t wait until the last minute to start packing. You will find that you had a lot more stuff than you thought! Create a packing schedule and pack a little every day so that you are fully prepared on moving day. One thing you don’t want to realize the hard way is that your current home is stocked with everything you need, and your new home is not. Before you move in, get the essentials like toilet paper, hand and bath towels, hand soap, and a plunger. Make some microwavable meals beforehand or grab something that is easy to prepare without having to unpack or buy kitchen supplies. Before you move in, check with your apartment complex or landlord about what utilities need to be set up and instructions for doing so. If your electricity or natural gas is deregulated and your complex or landlord allows it, you are free to shop around for the best plan for your home. Your landlord or leasing office will have information on how to set up utilities and if one or more of your utilities are deregulated. 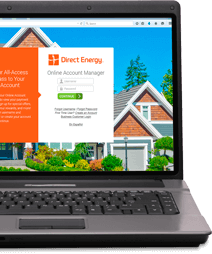 Direct Energy has a variety of electricity and natural gas plans so you can find the perfect plan for your home and lifestyle. Some rental agreements require you to have renters insurance. Even if it isn’t required, it’s worth considering. Renters insurance is inexpensive at about $12 a month on average, and it provides protection against risks like fire and theft. If your clothes or furniture are damaged in a fire or your apartment is robbed and your tv and computer are stolen, renters insurance will help cover the cost of replacing your belongings. Coverage varies, so do your research and read the fine print. Before moving day, make sure you have paid all required dues and turned in all required forms. Check rules and parking directions for moving trucks. Try to coordinate with your roommates and move in the same day. That way everyone has some extra help, and what goes into shared spaces can be agreed upon by everyone. If you can’t move in the same day, chat beforehand about what will be stored in shared spaces and agree on placement. You don’t want anyone to feel like they got the short end of the deal by moving in last. Make sure to set ground rules with your roommates at the very beginning. Sit down over a meal or coffee and talk about everyone’s preferences and pet peeves. Set quiet hours that accommodate everyone, and check your lease for any mandated quiet hours. Set rules for all shared spaces like the refrigerator, bathroom and kitchen cabinets, showers and countertops. You may find out very quickly that someone has a very different living style than you, so it’s best to work out the details right away rather than discovering this the hard way and ruin a friendship later on. If you don’t have much in the way of furniture or decorations, don’t feel obligated to fill up your new place immediately. Give yourself time to think about what you want your apartment to look like and save up for a few quality pieces. It’s a lot easier to tell what will fit size and style-wise after you’ve spent some time in the room. There is no shame in lounging in some folding chairs for a couple of weeks. When you move into your first apartment, it’s tempting to get a fancy new furniture set for every room. New furniture is an expensive investment that is usually best to put off. Furniture will get scratched and spilled on by roommates and friends, and nicked from moves into other apartments. Also, your style is likely to change over time. It’s better to save your money and make these purchases down the road when you can afford quality accident protection. Embrace the eclectic look with your first apartment. Check for hand-me-downs from friends and relatives and visit sites and apps that will help you find cheap furniture in your area. You can always spruce up an old piece with some paint or stain. Read our tips on how to shop a garage sale and find the best pieces. If you are buying new furniture, try to stick to a lower price point and buy something neutral enough to adapt with changing style. Bold-colored couches might not be the best choice right now. Lighter-weight options like Ikea furniture that can be taken apart or moved as-is will make it easier to move into future apartments. Take some time to inspect your apartment before moving your stuff inside. Take pictures of each room and be thorough on the condition sheet. Some scratches and discolorations are probably just wear and tear, but it’s better to write everything down than to be blamed for it when you move out. Landlords and leasing offices will often use notes on these sheets to make maintenance requests, so highlight anything you want fixed. 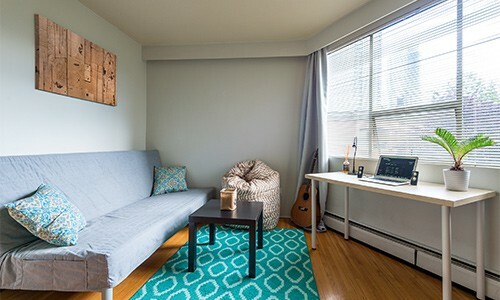 After you finish your condition sheet, clean your apartment while it’s still empty for a fresh start. It’s a lot easier to get everything thoroughly cleaned while the space is still empty. If you are moving into an apartment by yourself, give an extra key to a trusted friend or family member who lives close by in case of an emergency. Make your new place feel more like home with a housewarming party. Invite some new friends and neighbors to celebrate your newfound freedom!